Telepathy has been a controversial topic among not only scientists, but even within some parapsychological associations. Telepathy is defined as “the supposed communication of thoughts or ideas by means other than the known senses”. It’s scientifically referred to as extrasensory perception (or ESP for short) although the scientific community generally rejects the concept of ESP due to lack of evidence. However, this hasn’t stopped many parapsychologists from pursuing studies into the field. Even in popular media, psychic abilities such as telepathy is a fascinating theme. You don’t need to be a Stranger Things or even a sci-fi fan to have seen a form of telepathy – if you’ve watched the first Ghostbusters movie, then you’ll remember the opening scene where Dr. Venkman handles a series of cards to test students. These are the iconic Zener cards, popularly used as a form of ESP assessment. The ideas and controversy behind telepathy studies are interesting in and of themselves, but it’s plain old not creepy enough. That’s why we have the theory of twin telepathy. Identical twins are created when a fertilized zygote splits into two in the womb. It’s a random occurrence; there are some factors that may increase the likelihood of having twins, but it’s usually up to chance. Because of the fact that twins originally began as a single cell, some parapsychologists conclude that this is biological evidence of an innate psychic connection. Although not many twin telepathy studies have been conducted, many stories have made headlines, or at least clickbait articles, after a twin senses that their sibling is in a distressing situation. Reports range from simply a seemingly coincidental “bad feeling”, to performing a similar action at the same time without knowing, to experiencing the pain that another feels. For more specific, real-life examples of supposed twin telepathy experiences, check out this user-entry article on Buzzfeed. If that sort of freaky still isn’t satisfying for you, take it to the next level with TV portrayals of twin telepathy. 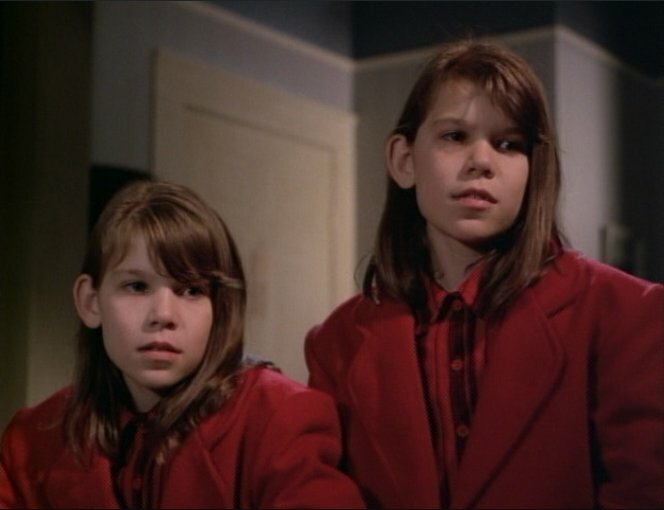 The X-Files is the go-to show for supernatural eccentricity such as this; in fact, the eleventh episode of the first season, titled “Eve”, depicts twins – genetic clones – who communicate telepathically in order to commit murder. What could make this more terrifying? Well, they’re children. Teena Simmons and Cindy Reardon, played by Erika and Sabrina Krievins on The X-Files (1993), episode 11 season 1. Children make everything so, so much creepier. Next postA Pressing Demand for Skilled Workers – Can You Make the Cut? The Grapevine shows on Tuesdays from 11:00AM – 11:30AM. Follow our SoundCloud for podcast updates!